Egg is being hand painted by a professional porcelain painter. Hinged backing and is embraced by a golden rim finished with a miniature ribbon clasp. 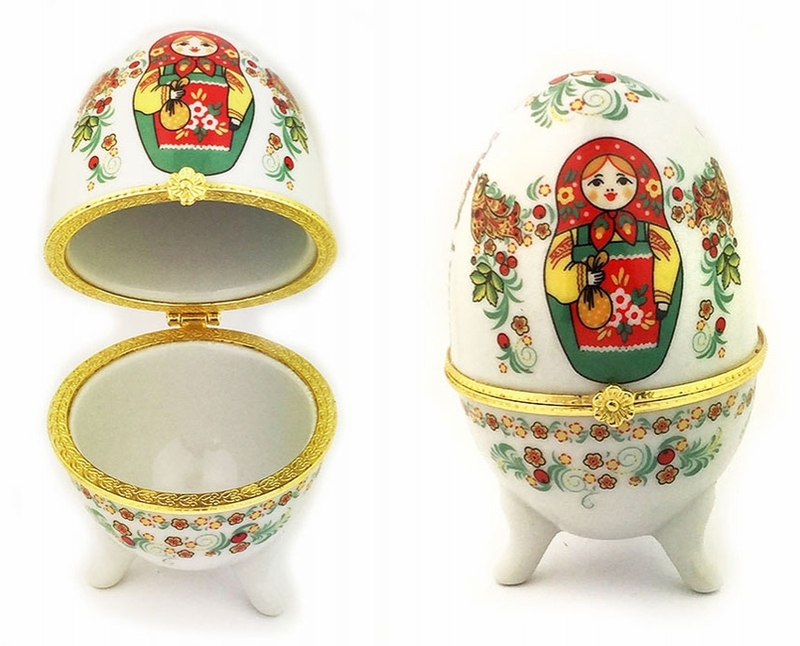 It may serve either as an elegant jewelry box or an exquisite table decoration. Porcelain Cup w/ "XB" Ornament, 2 "